Have you previously taken CBD Oil for pain without feeling the relief you were expecting? You should consider increasing your dosage by switching to a High Potency CBD Oil. CBD, also known as Cannabidiol, is associated with a plethora of health benefits, but only if you are using the right product to suit your needs. Sometimes your body needs a more concentrated dosage of CBD to experience the healing benefits. Hemp Bombs offers High Potency CBD Oil in 2000mg and 4000mg for even the most stubborn pain and ailments. Hemp and Marijuana are both members of the Cannabis family, but they differ in composition and their chemical properties. Hemp plants are high in CBD but contain less than 0.3 percent THC, or Tetrahydrocannabinol– the compound that is associated with a “high.” Conversely, Marijuana plants have less CBD but up to 35 percent THC. This compositional difference is why Hemp is now being studied for its purported health benefits in many states. What is High Potency CBD Oil? 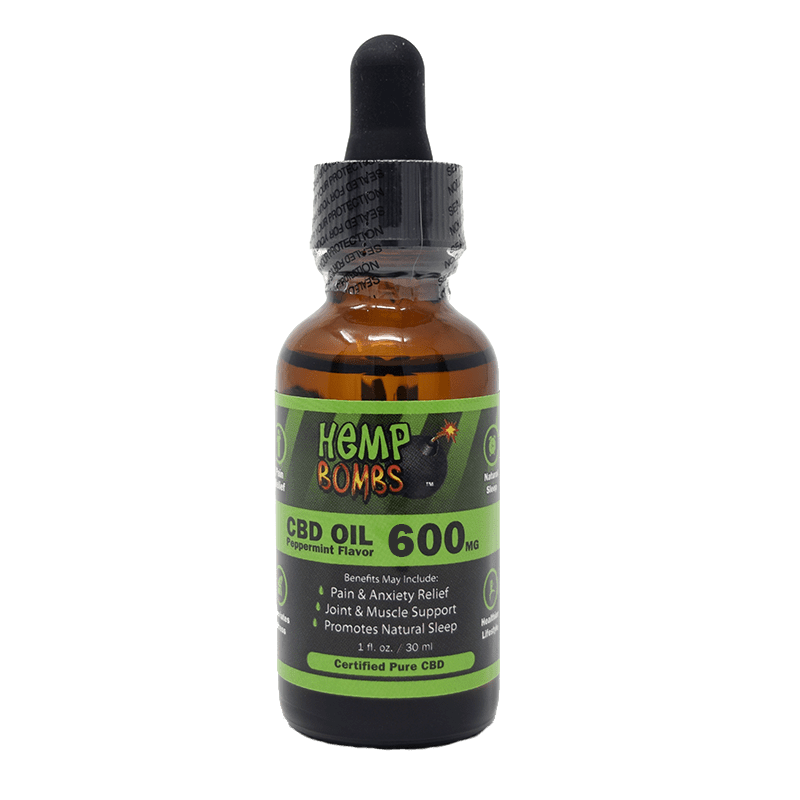 At Hemp Bombs we use non-GMO, organic Industrial Hemp, grown in environmentally friendly, sustainable conditions in the U.S to manufacture High Potency CBD Oil. We use a CO2 extraction method to isolate CBD from other compounds present in the Hemp plant resulting in a CBD isolate free of harmful additives and toxins. This CBD isolate is then combined with MCT Oil and Grape Seed Oil to make our High Potency CBD Oil. 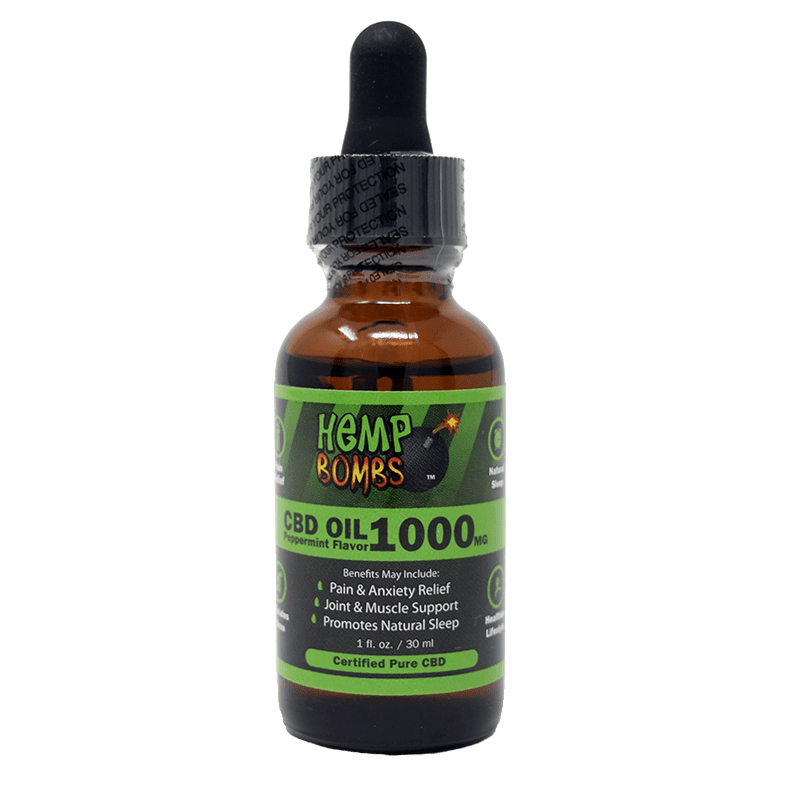 Hemp Bombs High Potency CBD Oil is federally legal, free of THC, and will not cause any psychoactive effects. CBD is effective because of its interaction with the Endocannabinoid System, which regulates mood, sleep, appetite and pain. The ECS is made up of molecules and receptors that influence changes throughout the body. High Potency CBD Oil introduces higher concentrations of CBD into the system, allowing the body to feel the effects more significantly. High Potency CBD Oil provides relief for those who do not feel the maximum benefits of regular potency products. Research shows that CBD has anti-inflammatory properties and may help with insomnia and stress and anxiety. Millions of people suffer from chronic or short-term pain, much of which is exacerbated by inflammation. Inflammation can result from the immune system working to fight infection, but overactive immune cells can attack healthy cells leading to extreme pain and swelling. CBD is well-known for its anti-inflammatory properties. Once in the system, CBD binds to overactive immune cells to create caspase, an enzyme influences overactive immune cell death and in turn reduces inflammation. High Potency CBD Oil introduces more CBD into the system to potentially combat excessive pain and inflammation. High Potency CBD Oil may act as a sleep aid, helping you to fall asleep and stay asleep. When taken before bed, Hemp Bomb’s CBD products encourage overall relaxation essential for sleep. By addressing underlying pain, CBD makes better sleep possible for those suffering from secondary insomnia, or insomnia resulting from another condition. Waking up well-rested encourages increased daytime alertness and a better mood. Anxious about an upcoming exam or an important presentation? 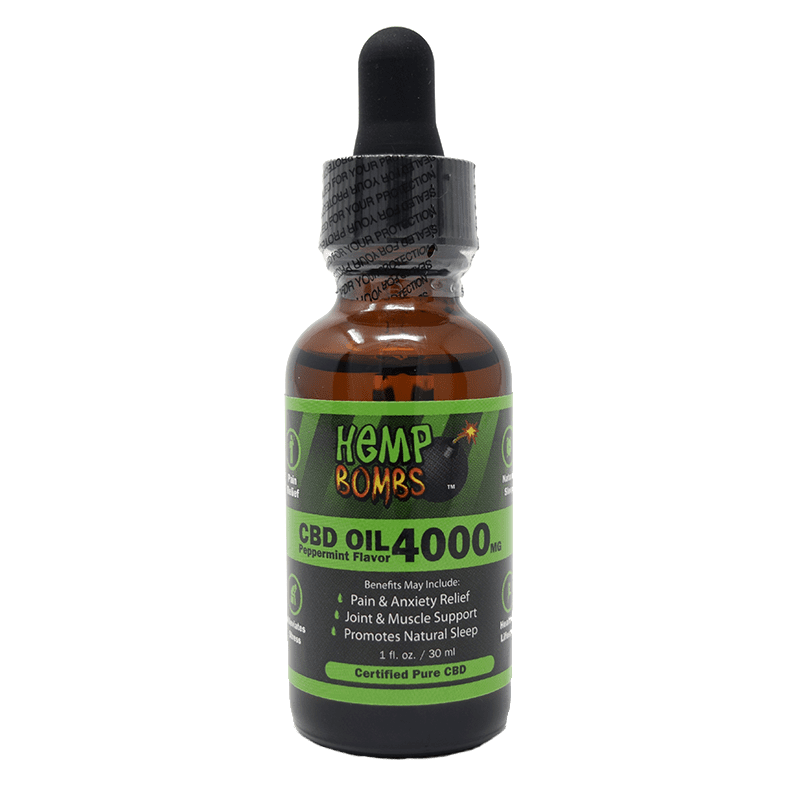 Hemp Bombs High Potency CBD Oil may help relieve some of your stress and lower your anxiety. A 2013 study on rats found that CBD may prevent increased anxiety from unpredictable stress. High Potency CBD Oil naturally retains moisture, unlike other oils which sit on top of your skin making it look greasy. Because the ECS is responsible for skin cell production and oil secretion, CBD is believed to help balance out these processes in conjunction with the system. CBD can help regulate oil secretion, bringing balance to those that produce too much oil. When used topically, like a cream or lotion, High Potency CBD Oil may soothe itchiness and redness in those with dry skin. High Potency CBD Oil may provide relief for many health conditions and boost the health of anyone interested in the healing benefits of CBD. Unlike traditional medications, CBD can provide a range of benefits without adverse side effects. All our products are tested by a third-party laboratory for quality assurance. 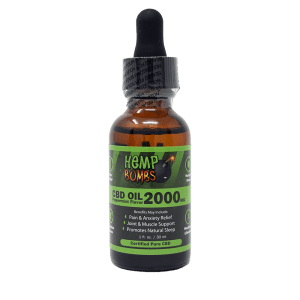 Hemp Bombs High Potency CBD Oil is available in two different flavors – peppermint and watermelon – and is easy to take. People everywhere are incorporating this “miracle compound” into their daily life and experiencing better health. Read about how High Potency CBD Oil can enhance your yoga practice.